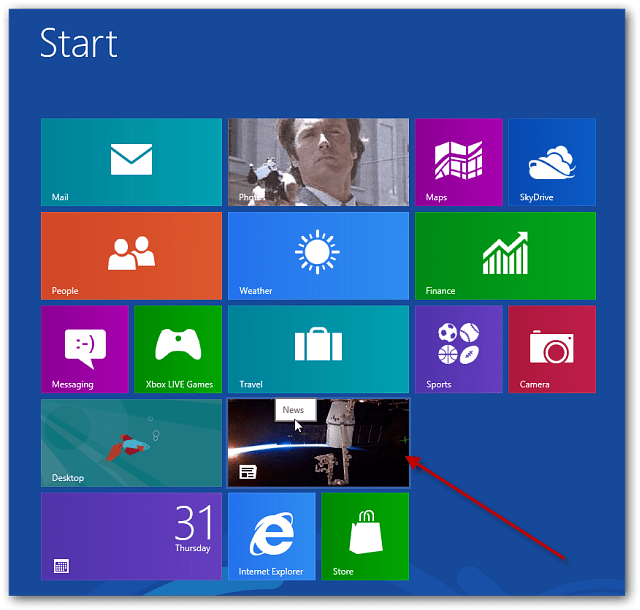 The Windows 8 Release Preview is available to the public for download. One of the main advantages is you get test more polished Metro apps. One of which is the News app. Here’s a look at using it and what you can expect. 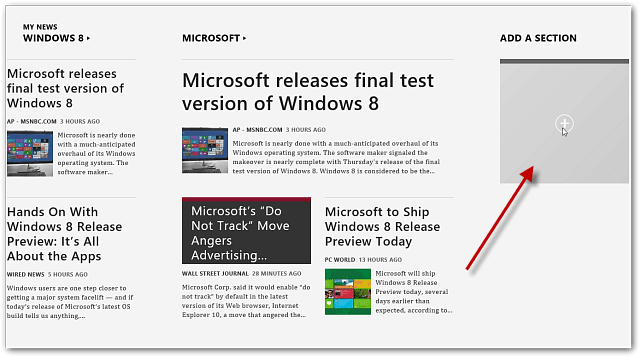 From the Metro Start screen, click or tap the News Tile. It opens to the Bing News features story of the day. 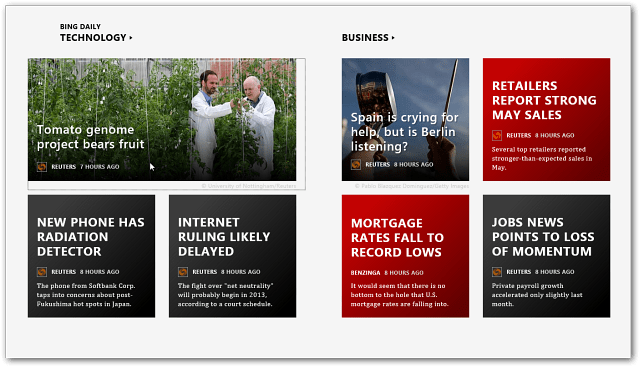 Scroll or swipe to the right to view other categories of new stories courtesy Reuters. 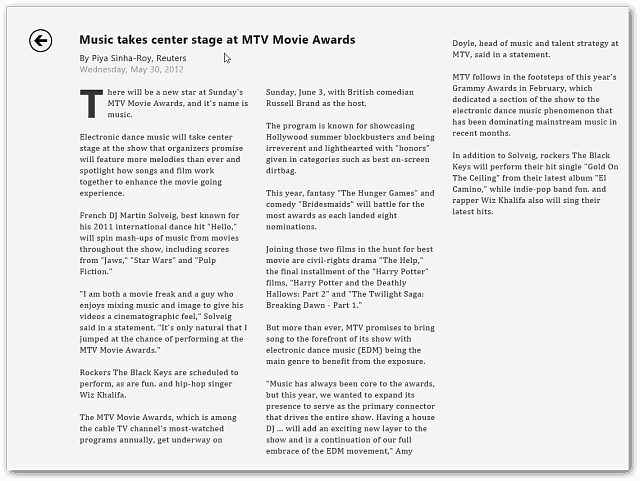 Click on one of the categories to see more stories on the subject. Click on any of the news headline tiles to read the story. The text is laid out nicely and looks great on your desktop screen or tablet. Right click in the News App to bring up a menu at the top. Here you can select My News, Trending stories and news Sources. 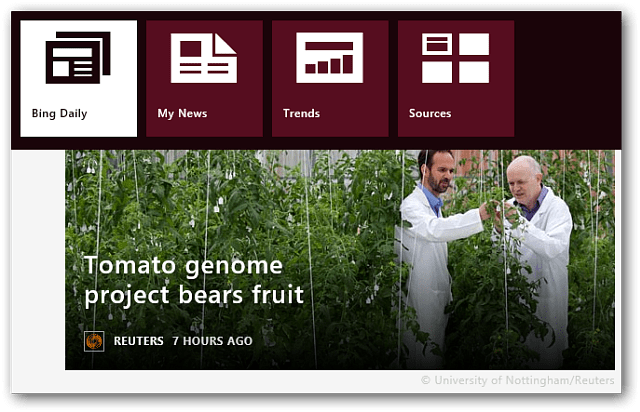 In My News, select Add a Section to add subjects that interest you and make a custom news feed…similar to Flipboard or Zite. You can check out different sources for your news for different subjects too. 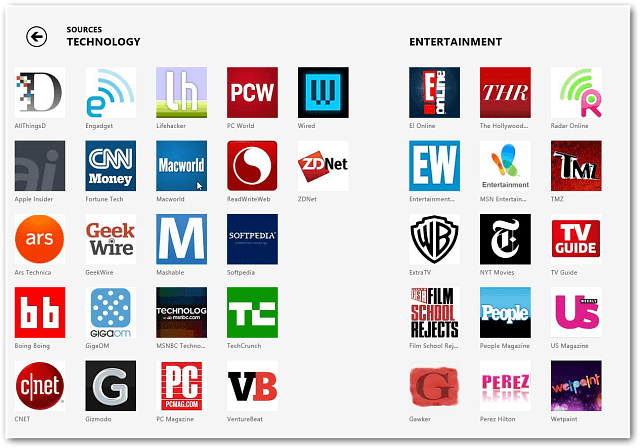 The New App is included with Windows 8 by default and provides a great way to view and organize your news. I ran this on a Dell Duo PC – which converts between a laptop and tablet. 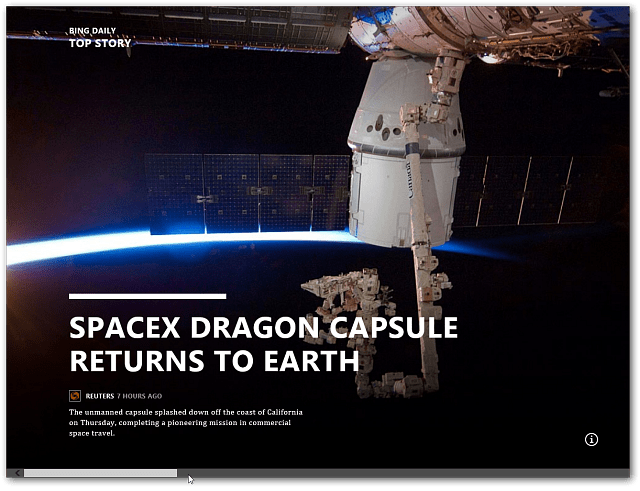 It was a smooth and fluid experience that made reading news easy on both the desktop and table. 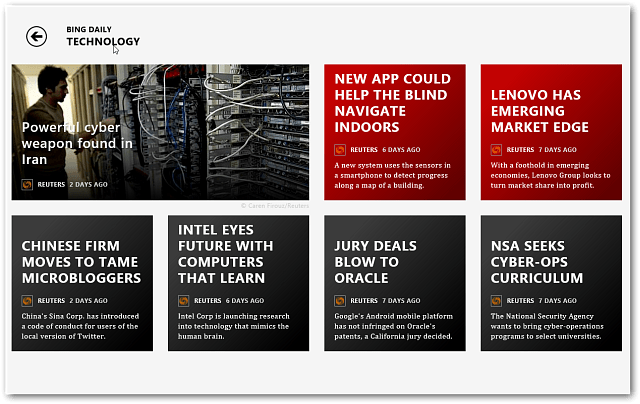 After setting up my categories, it reminded me of news magazine apps like Flipboard…very groovy.